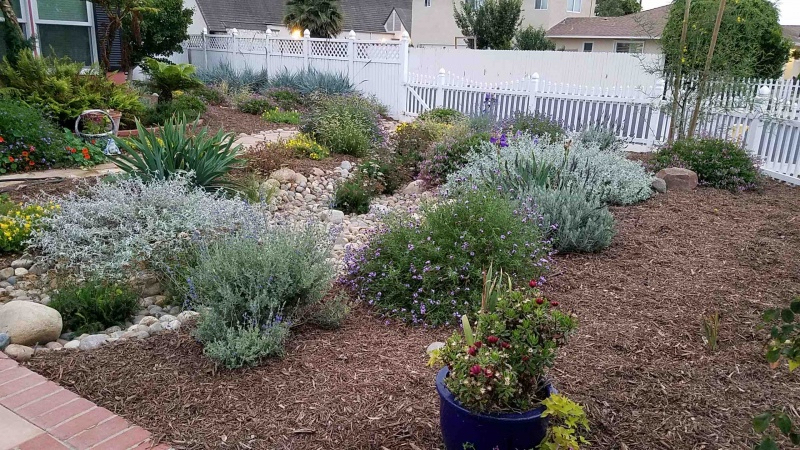 The Ventura Chapter is applying their Ocean Friendly Gardens program to protect local water quality and conserve water. Similar to most coastal communities across the country, the beaches in Ventura County are affected by urban runoff. Both rain and misdirected irrigation wash oil, lawn chemicals, animal waste and other contaminants into storm drains and ultimately to the ocean. However, Ventura is somewhat unique in Southern California, because it does not import freshwater from Northern California or the Colorado River as other cities and counties in the region do. Instead, Ventura relies solely on local groundwater and surface reservoirs for its water supply. As a result, water conservation is extremely important to their community, especially during times of drought. The Surfrider Foundation Ventura Chapter’s Ocean Friendly Gardens (OFG) program aims to both protect water quality and conserve local sources of freshwater. 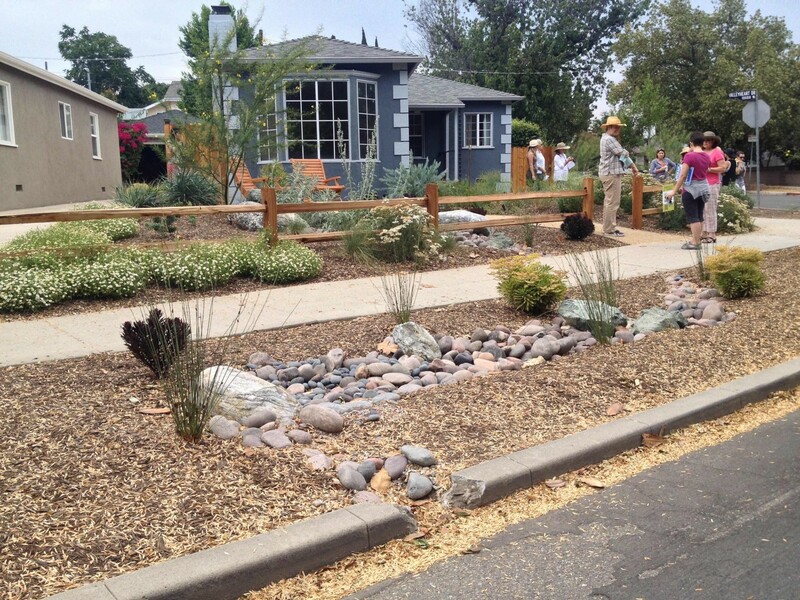 Chapter volunteers achieve this by promoting sustainable landscaping techniques that capture rainwater and remove pollutants from runoff. OFG techniques reduce local impacts of runoff by allowing water to instead soak into the ground to recharge underground aquifers and restore local stream flows. 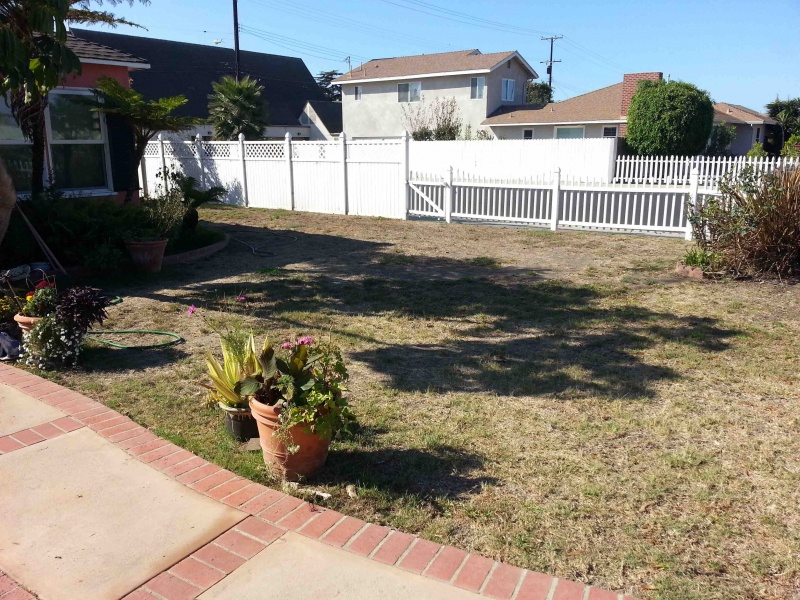 The Ventura Chapter's OFG program helped transform this tired, front-yard lawn above in Oxnard, CA to a colorful habitat garden. A dry streambed runs though the center of the landscape and captures water flowing off the roof. By running different drip irrigation zones, the home owner was able to keep her roses and some subtropicals near the house, while the rest of the garden is populated with CA native and other drought-tolerant plants. 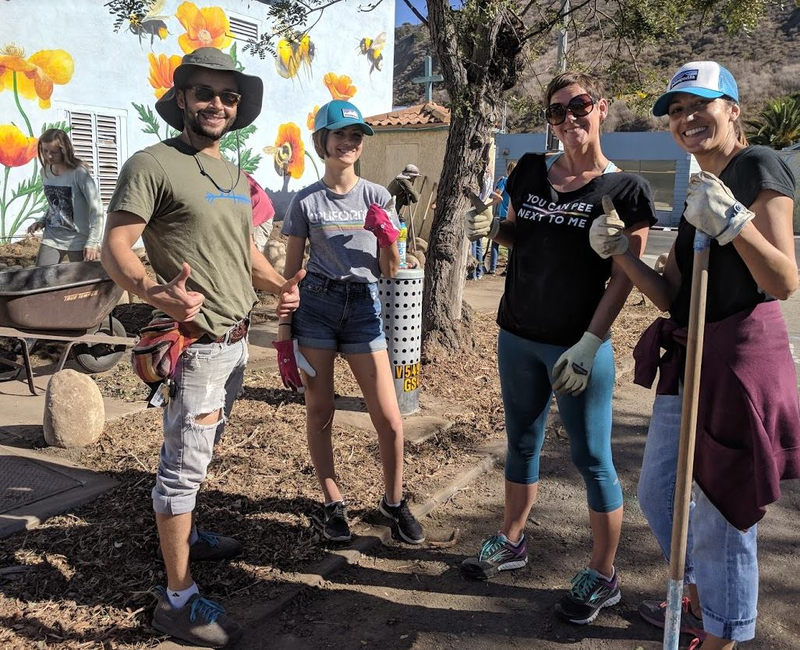 The Ventura Chapter’s highly active OFG program is run by a three-member volunteer committee, which meets on a monthly basis to plan and organize workdays, fundraising events, and educational and outreach opportunities. In 2017, the chapter installed four gardens that were dedicated as memorials to Paul Herzog, Surfrider’s Ocean Friendly Gardens Coordinator, who lived and worked in Ventura. Paul’s influence to make the city of Ventura more Ocean Friendly can clearly be seen in the continued efforts of the chapter’s OFG program and all their local partners that work together to support clean water. The Ventura OFG program incorporates many education and outreach events into their annual workplan to amplify the OFG message of applying CPR - Conservation, Permeability and Retention - to our landscapes and hardscapes to revitalize coastal watersheds. Chapter volunteers speak with the public and distribute educational information at various community events, and the OFG Committee Chair gives more in-depth presentations to diverse audiences such as the local rotary club, community councils and school groups. The chapter has also created a Lawn Patrol flyer to support a self-guided tour of more than 22 OFGs that have been installed so far in the city of Ventura. Last May, the chapter hosted a successful OFG tour and dinner in the Eichler Neighborhood with co-sponsor Slow Food Ventura County. 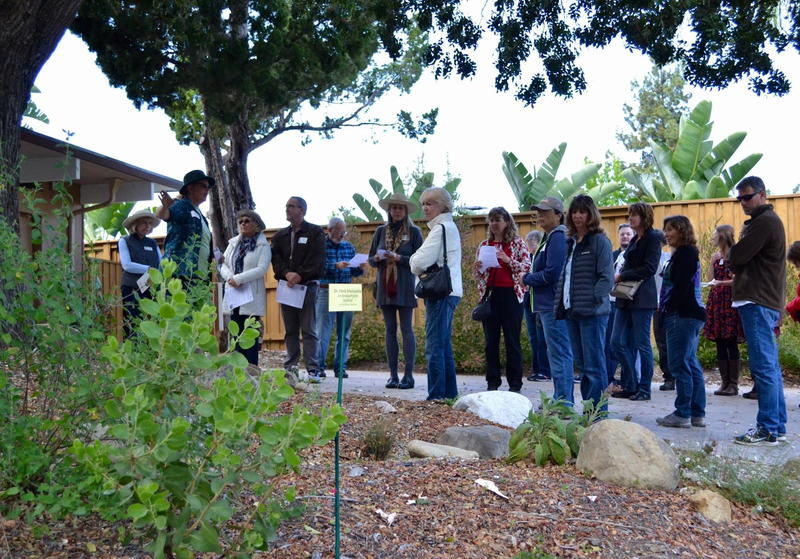 The tour was a great way to build community for the chapter and to raise awareness of how much beauty and function Ocean Friendly Gardens can add to residential yards. The chapter is looking forward to hosting another successful tour in 2018! The chapter will also be partnering with the City of Ventura’s Turf Removal Rebate Program this year to install two OFGs - one at the Ventura High School and another at the local community college. The chapter’s OFG committee is also working with the city on their residential curb cut program to install gardens in road parkways. These projects direct runoff away from storm drains and into vegetated swales that will sponge up the water and allow it to soak into the ground. Another big project for the chapter this year is to restore the Paul Herzog memorial garden located at the Ventura Botanical Gardens that was destroyed by fire last year. The Thomas Fire that swept across Ventura and Santa Barbara Counties in December 2017 was a tragedy for many, but it also presents a new opportunity to revegetate the landscape in a way that can both protect community safety and local water resources. To meet this need, the Ventura Chapter’s OFG program is coordinating with a natural resources advisor at the University of California Cooperative Extension to make recommendations for landscaping in Fire Hazard Zones that are both ocean friendly and fire resistant. These recommendations will be shared with other Surfrider chapters that are dealing with similar climate conditions. Look for these forthcoming recommendations and other local OFG happenings to be posted on the Ventura County Chapter’s Ocean Friendly Gardens Facebook page.